Showing results for tags 'creamy'. 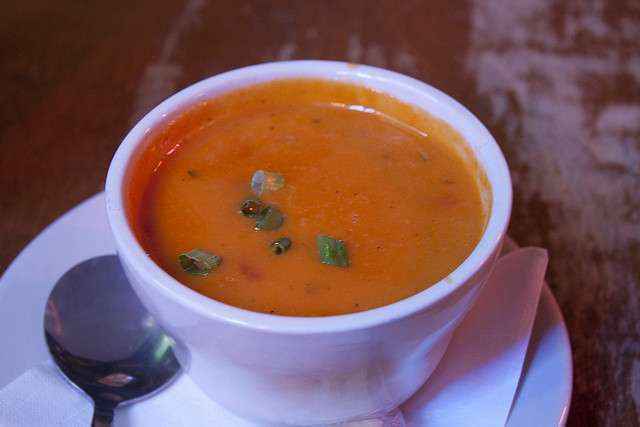 Celiac.com 12/10/2014 - Creamy tomato soup is a comfort food classic that goes great with a gluten-free grilled cheese sandwich. Alas, some canned versions contain wheat flour. This gluten-free tomato soup recipe delivers a rich, creamy tomato soup that will warm your body and make your stomach sing with joy. Perfect for a cold day. Ingredients: 1 (28-ounce) can whole peeled tomatoes in their juices (I use San Marzano) 2 cups chicken broth 1 tablespoon olive oil 1 tablespoon unsalted butter 1 medium sweet onion, chopped 2 bay leaves ½ teaspoon chopped fresh thyme ½ cup basil, cut to thin ribbons ½ cup heavy cream Directions: Heat oil and butter in a medium saucepan over medium heat. Once butter foams, add onion and a big pinch of salt and fresh ground pepper. Cook, stirring occasionally, until onion is completely soft and just beginning to brown, about 12-15 minutes. Add broth, tomatoes and juices to the saucepan and stir to crush up tomatoes. Add bay leaves and heat until bubbly. When soup bubbles, season with a little salt and pepper, add thyme and basil, and simmer gently until tomatoes begin to break apart, about 10 minutes, stirring occasionally. Remove from heat, discard bay leaves, and allow soup to cool slightly. Carefully purée soup in a blender until smooth. Be careful. If you don't have an immersion blender, you may have to do this in batches. I always cover the top with a towel, just to be safe. Return soup to the stove over low heat and stir in cream. Taste and adjust seasoning as desired. Serve with salad, or vegetables, and your favorite gluten-free grilled cheese sandwich for a delicious meal. 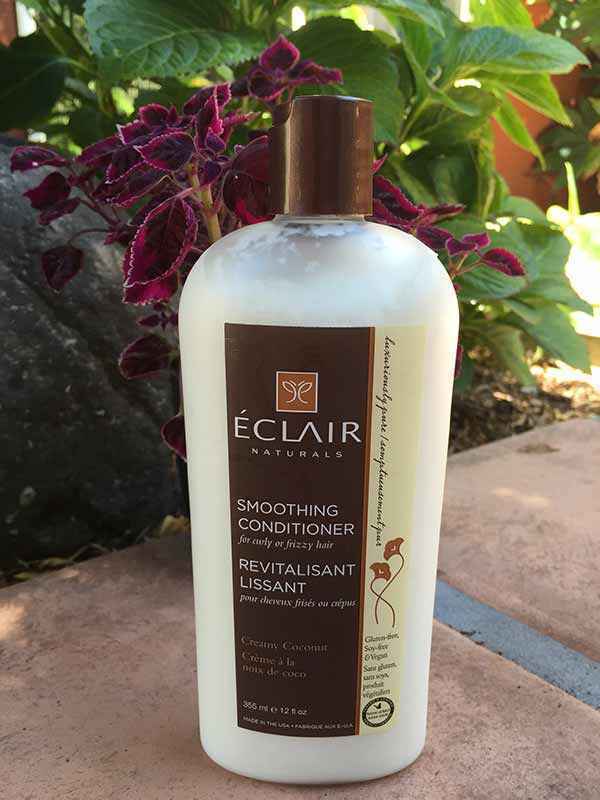 My daughter, Mica, recently tried Éclair Naturals Gluten-Free Smoothing Conditioner in Creamy Coconut, which is a gluten-free hair conditioner that many celiacs will appreciate. The first thing she noticed when using it was the feeling that her hair absorbed most of the conditioner, just like a sponge, and this made rinsing it out very easy (some conditioners can be difficult to rinse out). She also loved the fact that it made her hair smell like fresh coconuts, and, after three days of using it, her straight, thin hair was much less frizzy, and felt more silky. It was also more shiny and healthy looking. Available at Rite Aid and Target.com, for more info visit their site: visit their site. Review written by Scott Adams. 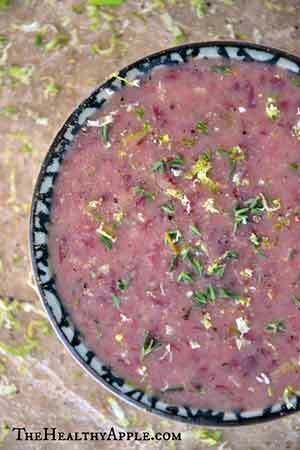 Celiac.com 04/09/2015 - This easy delicious sauce blends butter, brandy, chives and parsley with Dijon mustard. Simply brown pork shops in a pan, then top finished chops with warm sauce for a memorable entreé. Ingredients: 4 large boneless pork chops, extra thick ½ cup chicken broth 2 tablespoons olive oil 3 tablespoons butter 3 tablespoons chopped chives 1 teaspoon fresh lime juice 3 tablespoons brandy 3 tablespoons chopped fresh Italian parsley 2½ tablespoons Dijon mustard 1 teaspoon sugar 1¼ teaspoon salt 1 teaspoon fresh coarse ground black pepper Directions: Heat oven to 350 degrees F. Sprinkle pork chops with with salt and pepper. Heat 1 tablespoon each oil and butter in large skillet. Brown chops quickly over high heat on each side. Remove skillet from heat. Transfer browned chops to oven-safe dish and cook at 350 degrees F, until no longer pink in center—about 20 minutes or so. Put the skillet back on the heat. In the pork chop skillet, add chives, lime, brandy, parsley, sugar and mustard, and whisk constantly for 15 seconds. Whisk in broth. Whisk in remaining butter and oil. Cook, stirring until sauce is smooth. Remove sauce from heat. Plate the finished pork chops and pour sauce over each one. Serve immediately. Add rice and salad for a great gluten-free meal. Celiac.com 03/05/2015 - This simple, easy to prepare recipe combines chicken with cream, broth, mustard and a dash of tarragon to deliver a smashing dinner dish that will have your dinner guests smiling. Ingredients: 2 pounds chicken thighs and legs 2 cups homemade chicken broth 2 cups brown mushrooms, cleaned and sliced 2 tablespoons butter, melted 2 tablespoons Dijon or brown mustard Several sprigs fresh tarragon ½ cup dry white wine or vermouth ½ cup heavy cream or crème fraîche sea salt freshly ground black pepper Directions: Heat the oven to 375° F. Cut up the chicken: Separate the legs and thighs, remove the bone from the breasts, and cut the breasts into two pieces. Keep the back and neck for stock. Place the chicken pieces skin side up in a stainless steel roasting pan. In a small bowl, combine the melted butter and mustard and brush the skin of the chicken with the mixture. Sprinkle with salt and pepper, add sliced mushrooms, and spread the tarragon over the top. Bake for about 1 hour, until the chicken is cooked through and brown on the outside. Move the chicken pieces to a platter and keep them warm. Move mushrooms to a plate or dish. Place the baking pan over medium heat and deglaze the pan with the wine or vermouth, making sure to get any browned bits from the bottom of the pan. Add the broth, and boil until it is reduced by about half. Gradually add the cream and boil to reduce more, and keep reducing until it thickens into a proper sauce. Salt and pepper to taste. Strain the sauce into a bowl, stir in mushrooms, and serve with the chicken, rice and vegetables. Celiac.com 04/25/2014 - I'm a person who appreciates a meal that looks and tastes fancy, but which comes together quickly and easily. This recipe blends crème fraîche (fancy sour cream), two kinds of mustard and a few other ingredients to deliver some culinary magic. This easy salmon dish makes for an easy upscale dinner, or an easy way to just kick things up a bit in the kitchen. You can make this with regular sour cream in a pinch, but it's good to blend a bit of plain cream into the sour cream, as crème fraîche is less sour than most American sour cream. Ingredients: 4 wild salmon fillets, 6-8 ounces each 1 cup crème fraîche, (or sour cream, in a pinch) 2 tablespoons Dijon mustard 2 tablespoon brown apple cider mustard (I use Amy's) 1 tablespoon dry white wine 2 tablespoons minced shallots 1 tablespoon minced fresh dill 2 teaspoons drained capers 1 teaspoon kosher salt ½ teaspoon pepper dash of paprika minced fresh dill for garnish Directions: Heat the grill to 450 degrees F. In a small bowl, combine both mustards, wine, shallots, dill, capers, salt, and pepper. Whisk well and whisk in the crème fraîche until blended. Pour into a small sauce pan and place on low heat. Do not boil, but allow to gently come to a low simmer, stirring occasionally, for 10 minutes or so until ready to serve fish. Sprinkle top of the fish generously with salt and pepper, and rub a bit of olive oil onto the skin on the bottom. Place fish on hot grill, skin side down. Cook fish until it the oil begins to seep from the seams. Do not overcook! Remove from grill, and plate. Remove the sauce from the heat. Spoon a bit of sauce over each fillet, and serve the extra on the side. Top with a dash of paprika and dill. Garnish with sprig of dill. Serve hot or at room temperature with rice on the side. This is the perfect dip for a holiday party, or to share with your favorite dinner guests. Ingredients: 12 oz. fresh cranberries 1/2 cup organic sugar 2 Tbsp. unsweetened coconut flakes 2 (8 oz.) containers of dairy-free/vegan cream cheese such as GO Veggie! Plain Cream Cheese, softened 1 Tbsp. cranberry juice Sliced Fresh Fruit on toothpicks, for serving Directions: Pulse the cranberries in a food processor until finely chopped; add sugar, coconut flakes and cranberry juice then add the cream cheese and blend until smooth. Serve chilled with fresh fruit on toothpicks for your holiday guests. Enjoy! This recipe comes to us from Elysse Paige. 1 cup sour cream ½ teaspoon celery salt 1 cup mayonnaise or Miracle Whip (dip is sweeter with Miracle Whip) ½ teaspoon dill weed ¼ teaspoon onion salt ¼ cup chopped green onions 8 oz. can water chestnuts, drained and finely chopped 3 cups or (1 package 10 oz. box package) frozen chopped spinach, thawed and drained 3 tablespoons red bell pepper --optional In medium bowl, combine sour cream, mayonnaise and seasonings. Stir in onions, spinach, water chestnuts and red pepper. Cover, refrigerate several hours to allow flavors to blend. Serve with veggies, crackers, etc. Makes 3 ½ cups. This is the perfect dish to bring to a potluck lunch or dinner...everyone loves potato and pasta salad, and this one has a nice twist! Serves 4 Ingredients: 2 lbs. large purple sweet potatoes 1 container GO Veggie! 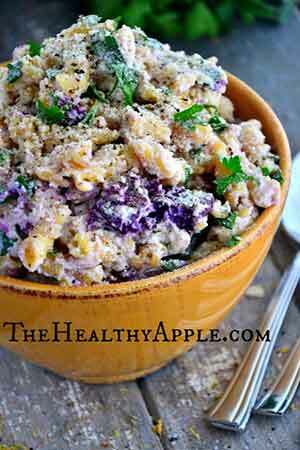 Vegan Plain Cream Cheese, room temperature 1 1/2 cups cooked gluten-free pasta 1/3 cup red onion, finely chopped 2 Tbsp. fresh lemon juice 2 Tbsp. finely chopped parsley 2 Tbsp. finely chopped fresh basil 1/4 tsp. sea salt 1/4 tsp. freshly ground pepper 3 scallions, finely chopped 2 Tbsp. extra-virgin olive oil 3 Tbsp. GO Veggie! Vegan Parmesan Cheese, plus more for serving Directions: 1. Place potatoes into a large saucepan filled with cold salted water; bring to a simmer. Cook potatoes for 15 minutes or until tender; drain. 2. In a large bowl, mash potatoes using a fork. Add remaining ingredients; mix well to combine. Serve. This is a wonderful soup for a cold Winter's day, enjoy it with your favorite gluten-free crackers! Serves 4 Ingredients: 1 Tbsp. 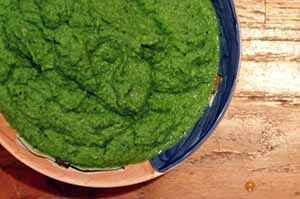 Earth Balance Vegan Buttery Spread 1 large sweet white onion, diced 2 cups fresh baby spinach 2 large zucchini, diced 2 tsp. fresh mint, finely chopped 1/3 tsp. orange zest 1/2 cup quinoa, cooked 4 cups green tea, brewed 1/4 tsp. sea salt 1/4 tsp. black pepper 1 ripe avocado, peeled, cored and diced 1/8 tsp. curry powder 1/8 tsp. dried lavender 12 macadamia nuts, crushed Directions: In a large saucepan over medium-high heat, melt butter. Add onion, spinach and zucchini; cook until onions are translucent, approximately 5 minutes. Add mint, orange zest and quinoa; cook for another minute. Add green tea; reduce heat to medium. Cover and cook for 20 minutes or until quinoa is tender. Add sea salt, pepper, avocado, curry powder and dried lavender. Add spinach and green tea mixture with macadamia nuts in a food processor. Puree until smooth; serve immediately. Enjoy!